Thank you for voting for us in the Good Times 2016 reader's poll. 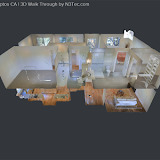 We are thrilled to be one of the first Real Estate Brokerages in Santa Cruz to feature Live, 3D Walkthru Marketing. 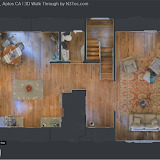 This is a fantastic new technology where a photographer takes a virtual scan of each room in a home. The end result allows a prospective Buyer to virtually tour the entire property, going in and out of each room, getting a true feel for the property.